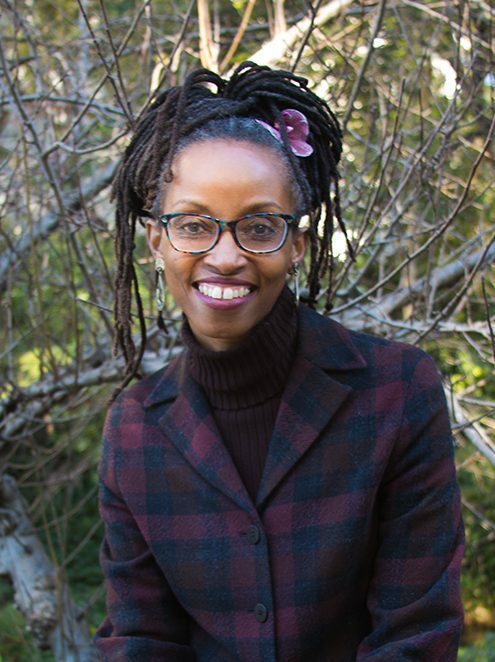 Ula Y. Taylor is Professor and H. Michael and Jeanne Williams Department Chair of African American Studies and African Diaspora Studies at the University of California, Berkeley. She is the author of the award-winning book The Promise of Patriarchy: Women and the Nation of Islam (University of North Carolina Press, 2017). The book was awarded the 2018 Liberty Legacy Foundation Award from the Organization of American Historians (OAH) and the 2018 Letitia Woods Brown Prize from the Association for Black Women Historians (ABWH). She is also the author of The Veiled Garvey: The Life and Times of Amy Jacques Garvey (University of North Carolina Press, 2002). She is also co-author of Panther: A Pictorial History of the Black Panther Party and The Story Behind the Film and co-editor of Black California Dreamin: The Crisis of California African American Communities. Her articles on African American Women’s History and feminist theory have appeared in the Journal of African American History, Journal of Women’s History, Feminist Studies, SOULS, and other academic journals and edited volumes. In 2013, she received the Distinguished Professor Teaching Award for the University of California, Berkeley. Only 5% of the academic senate faculty receive this honor and she is the second African American woman in the history of the University to receive this award. Taylor is most proud, however, of her brilliant graduate students who currently hold post-doctoral fellowships at Columbia University, Harvard University, and the University of Southern California; along with former students who are now assistant and associate professors at Spelman College, Rutgers University, University of Southern California, University of Texas, Austin, Middlebury College, University of North Carolina, Chapel Hill, Georgia State, University of Iowa, Penn State, Roanoke College, University of Wisconsin, Milwaukee, Wayne State, University of Pennsylvania, and Michigan State. 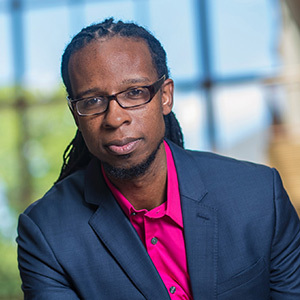 Ibram X. Kendi, an award-winning historian and New York Times Best-Selling Author, is Professor of History and International Relations and the Founding Director of the Antiracist Research and Policy Center at American University. He is an Ideas Columnist at The Atlantic. His second book, Stamped from the Beginning: The Definitive History of Racist Ideas in America, was published by Nation Books and won the 2016 National Book Award for Nonfiction. At 34 years old, Kendi was the youngest ever winner of the NBA for Nonfiction. An intellectual and social movement Africana studies historian, Kendi studies racist and antiracist ideas and movements. He has published essays in books and academic journals, including The Journal of African American History, Journal of Social History, and The Sixties: A Journal of History, Politics and Culture. Kendi is the author of the award-winning book, The Black Campus Movement: Black Students and the Racial Reconstitution of Higher Education, 1965-1972, which was published in March 2012 as part of Palgrave Macmillan’s Contemporary Black History Series. His next book, How to Be An Antiracist, will be published by Penguin Random House in August 2019. In How to be an Antiracist, Kendi asks us to think about what an antiracist society might look like, and how we can play an active role in building it. He weaves together an electrifying combination of ethics, history, law, and science, bringing it all together with an engaging personal narrative of his own awakening to antiracism.